Do we substitute human guidance for going directly to God? “ . . . not taught by human wisdom but taught by the Spirit . . .“ (1Co 2:13 NRS). 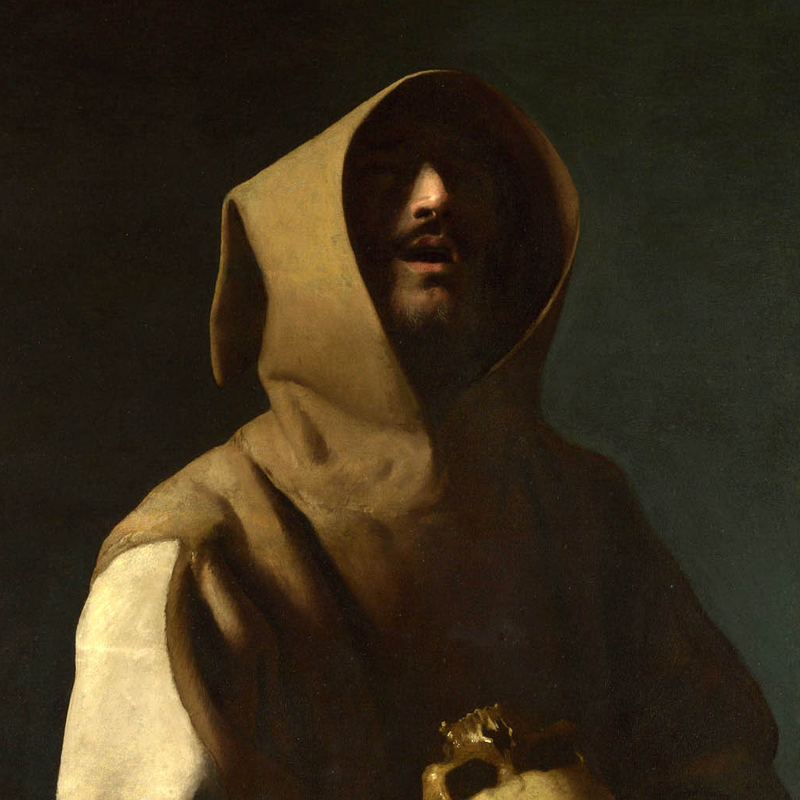 St. Francis, like Paul, had a deep intimate relationship with God. He depended on the Spirit to lead and guide him. That kind of relationship is what God desires of each of us. But so often we don’t take time to let God speak to us. We shout up prayers – instructions telling God what we want God to do – but we rarely take time to hear God speak. Both St. Francis and Paul spent time alone listening to God. In doing so, they needed no other mentor. It isn’t that mentors and teachers are bad. But if we substitute them for directly going to God for guidance, we miss out on knowing our creator personally. In fact our mentors, spiritual guides, and teachers do us the most good when they teach us how to listen to God for ourselves. It is true that in his Testament Francis stated that nobody showed him what to do but that the Most High himself revealed that he should live according to the Holy Gospel. This wonderful conversion followed a time of self-indulgence, guided by his own desire and ambition. It is great to have examples like him to help show us yet another way of following in the “poor and humble footprints of Christ”. Learning about these faithful people provides us with patterns for our own life. It is good to remember that even if we could say that Francis was 100% reliant on God and not on the nudging, advice or opinions of others, we still have to put some time limits on that since, also in his Testament (written toward the end of his life), he says he would like to have a superior assigned to him and that he would be obedient to him. He said, “I firmly wish to obey the general minister…and the other guardian whom it please him to give me. And I so wish to be a captive in his hands that I cannot go anywhere or do anything beyond obedience and his will, for he is my master.” So, even Francis himself submitted to another, relying on the wisdom of another person. Even if we could say he was 100% reliant on God and not others’ advice, we have to specify it is only up to the final years of his life when he was infirm, given the above quote. Even those in his first, inner circle of followers were followers of Francis himself, so neither they did not fit the ideal of only listening to God. Francis was all about community, all the time. He believed in the wisdom of the community and saw God leading them, as community. Very True! The post asks where do you turn *first* – to God or others. Turning to God first develops a stronger and deeper relationship with God than heading to hear what others have to say before listening to God. I think St. Francis’s and Paul’s strength were in where they went first. (The experience of Paul notwithstanding and certainly unrepeatable) Listening to God is always mediated by the Holy Spirit and normed by the Holy Scriptures and the community of believers. While we can listen for the voice of God as personal experience, it is always subjective and therefore must be tested. What we hear may just be our own inner voice (which is not unimportant). That’s why mentors and spiritual directors, etc. are important. Yes, well said! Thank you. It is a matter of who (or what) we turn to first – God or spiritual directors. Not a matter of needing a community to help us along. But when the community points us to God rather than telling us what to do or believe, I think the community is at its strongest.